Snail liquid is one among skin care cream products, usually a bottle only contains 30-50ml, the packaging style is based on square copper paper-based packaging. However, as most skin care oil bottles are round glass bottles, the exterior packaging is recommended to be kraft tube packaging, the effect may be better. 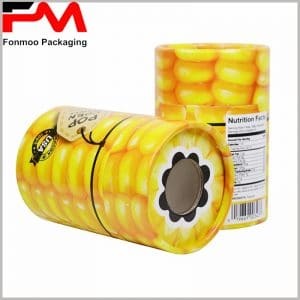 On the tube boxes packaging surface, you can print company logo and name, the choice of printing position and technology used can have very big influence on the overall publicity effect. This is a 30 ml skin care essential oil packaging boxes, it uses kraft cylinder structure with cardboard and fine kraft paper as raw material. When pasting Kraft paper o the round side, you should pay special attention to the lid, and the edge of the adhesive cannot have any bubbles or wrinkles, which is the basic requirements for custom cardboard cylinder. Cover the paper jam in the packaging, one should not see the traces of the lid connection, the whole package should look like one whole, reaching the fine arts quality requirements. The product name “Snail Liquid” and the brand “Linbaby” are printed directly on kraft paper and no other printed instructions. This is the simplest skin care package, but the effect is very good, making it impossible for consumers to resist.